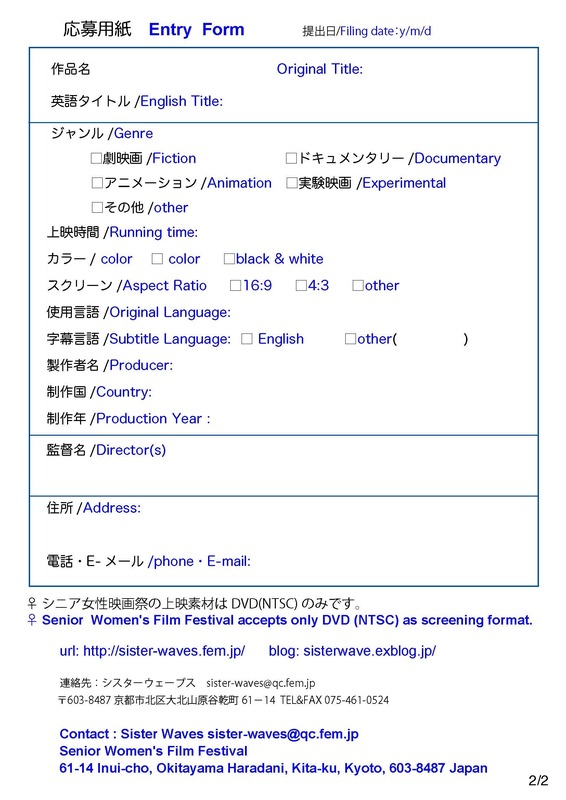 Senior Women's Film Festival screens films by senior women directors (over 60) or films about senior women. 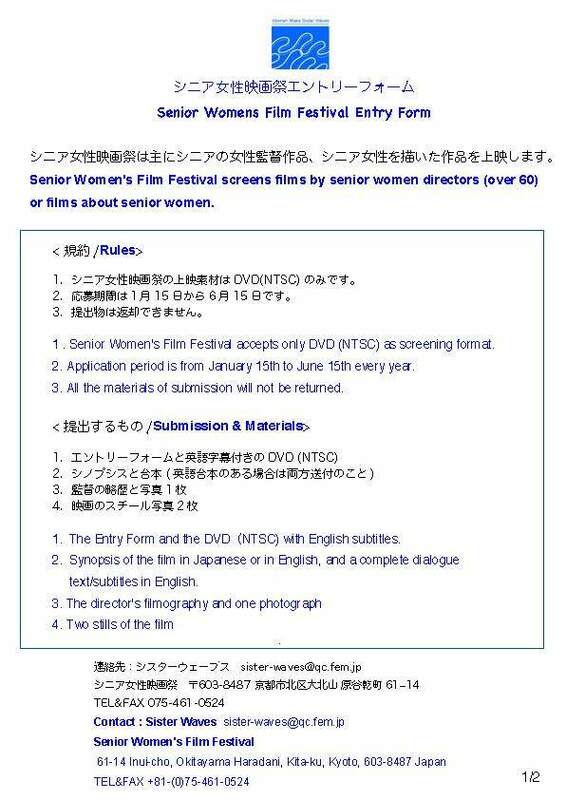 Senior Women's Film Festival seeks entries for 2016 Senior Women's Film Festival in Osaka, Japan. SWFF is a film festival that screens films about women over 60 or by women over 60. The festival will be in November, 2016.